It turns out there is probably only one open-source RTSP stack that is capable of working reliably with MegaPixel IP camera’s. It’s from LIVE555 and often referred to as OpenRTSP. 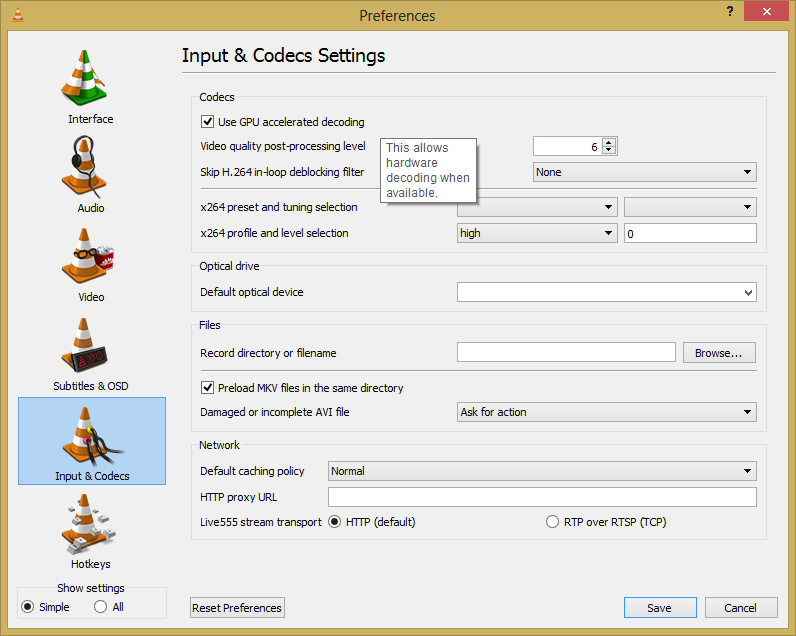 This code is also integrated into VLC to do it’s RTSP stream handling. A formula for success! This method is not ‘sensitive’ as the FFMPEG script was. System load does not influence if corrupted images are captured or not. So this will now become my preferred method. CPU usage on a Core i5 Quad-Core is around 7% – 8% for my 5Mpix camera. For my 2Mpix camera it’s anywhere from 1% – 3%. This script is mostly the same as in the previous FFMPEG version. It uses wmic to generate a date_time variable with which the directories will be created. Then VLC will be called to run for 12 hours. Please change your paths accordingly. 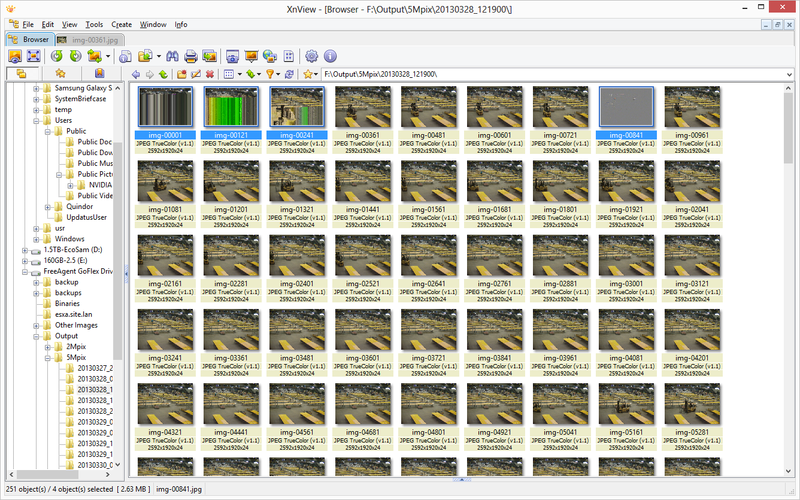 Currently the script is set to take an image every ~6 seconds, this can be altered to fit your own needs. 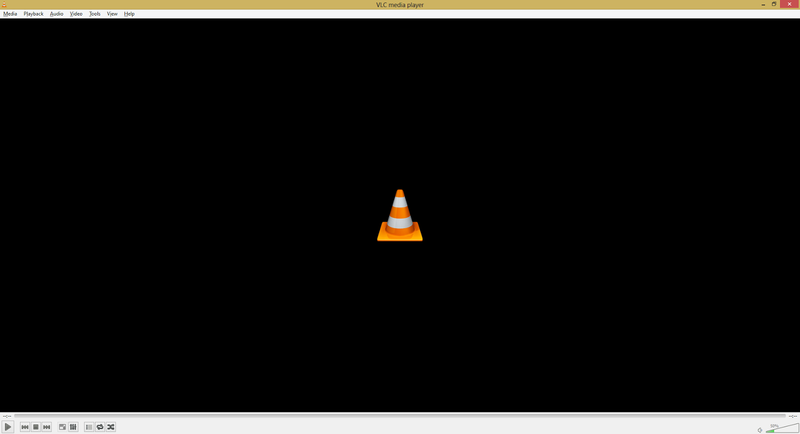 I am using the x64 build of VLC for Windows. 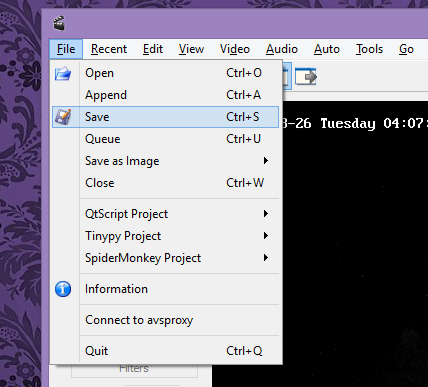 The script will pop-up the actual VLC window but it will now show any realtime video to save on CPU power. 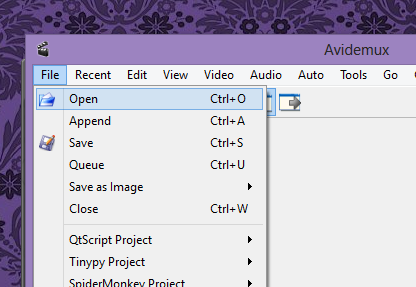 The window will close automatically when it’s done and a new one will pop-up when the script continues. 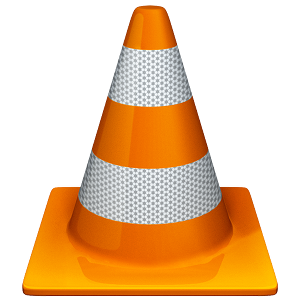 Some settings need to be changed in VLC to get the best quality and lowest CPU usage. I don’t really know if enabling GPU decoding is actually doing anything, but it isn’t hurting it either. I will do more testing later. Remark: The NVidia 8600M GT only seems capable of accelerating the 2Mpix stream. GPU usage is not visible but an increase of 40MB GPU memory + a temperature rise is observed. Remark: The Intel HD4000 seems capable of accelerating both video streams. GPU load isn’t observable. Remark: The GT630 seems capable of accelerating the 2Mpix stream but not the 5Mpix stream. This card is Fermi based and not Keplar based. Both my Keplar based cards are able to make use of hardware acceleration. The GPU Video Engine Load for the 2Mpix stream was 20%. Remark: The GTX680 is capable of accelerating both streams with almost no CPU load as a result. The GPU Engine load was 12% for 2Mpix and 17% for 5Mpix. Combined it was around 30%. If you wish to enable hardware decoding for a 2Mpix stream most cards can handle this to some degree. But if you wish to do so for a 5Mpix stream (anything above 2Mpix I assume) you will need a GPU capable of 4K Hardware Decoding. 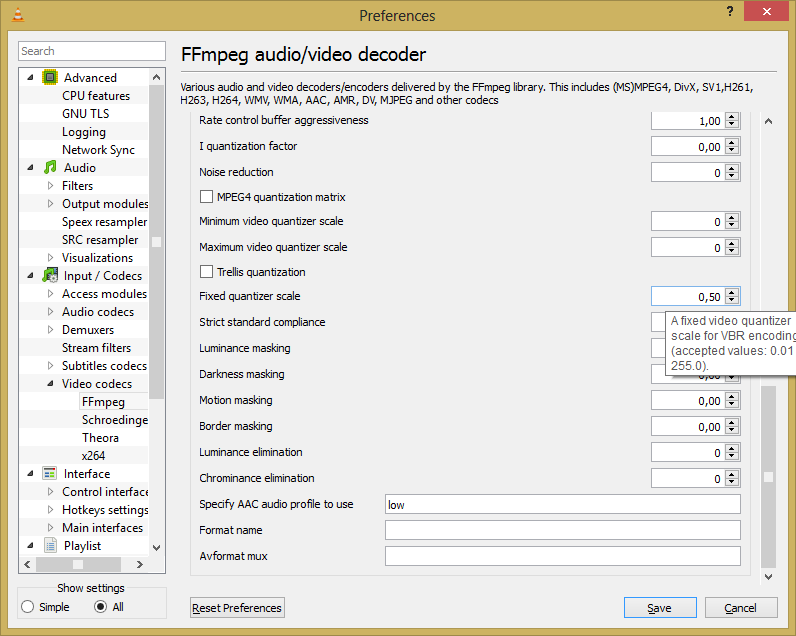 With NVidia that means Fifth Generation PureVideo HD which introduces 4K decode support. These where introduced in the beginning of 2011. Please use the following chart to select one: http://en.wikipedia.org/wiki/Nvidia_PureVideo. For Intel you will need a Integrated Graphics ‘card’ of the newest Ivy Bridge generation. This generation introduces 4K decode support. I do not have any knowledge of ATI cards. Since we now have multiple directories of files from which we wish to create a single timelapse we will have to follow a few manual steps first. 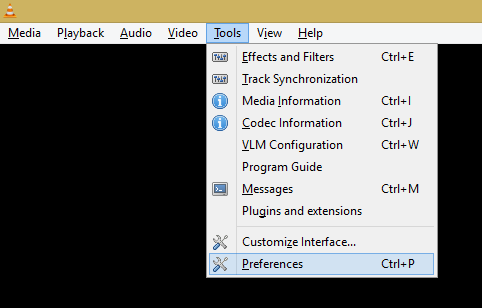 Step1: Download and install a utility called “xnview“. 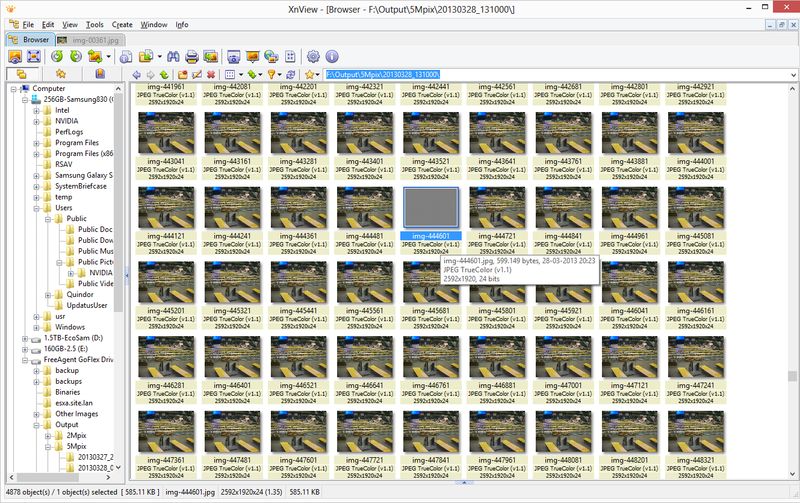 Using this tool open every directory and wait for it to finish generating thumbnails. Then proceed deleting the first 3 images of each directory (with my camera they are always corrupt) and then scrolling through all the images in search for ‘gray’ images. For me with 50.000 files there where about 40 corrupt files which had to be removed. 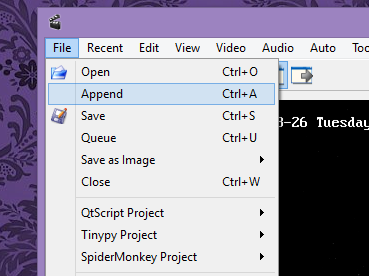 Step 2: Use a utility called “Bulk Rename Tool” to rename all the files of all the subdirectories to a new unified directory where all the files will be gathered so that FFMPEG can process them. This step takes care of renaming the files in each directory and also merging/moving/copying them to a single directory for processing. Please take a careful look at the settings below. Basically we are stripping their previous name and sorted on “modified date” we are using a 10 pad numbering system. 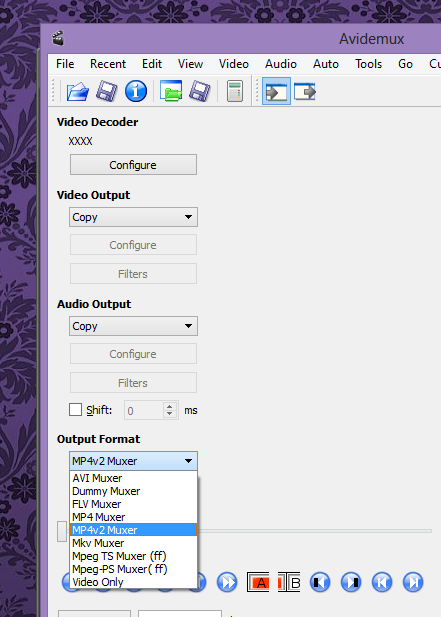 After removing the corrupt or unwanted images and renaming+merging them into a single directory is done you can use the following script to have FFMPEG create an MPEG4 movie from it. The settings below are for a overly high quality movie so that you can use the footage in an editing program and re-compress it if you wish. Be sure to select ‘Original’ quality if you have a screen that goes above 1920×1080. Below you can find the way I was using before writing the above, easier guide. 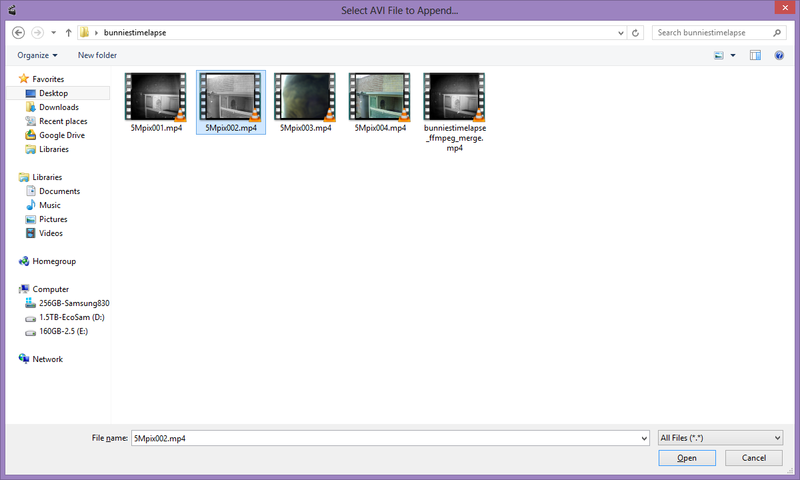 To join the JPG files into a movie we will be using the same FFMPEG line as in the previous script. As said above, it seems only the RTSP implementation of FFMPEG is broken, not the rest! This is still a manual operation. I might write a script for it in the future. For now I advise creating a batch, copying this command and filling in the directory there. Then you can start it and leave it alone for a few hours, depending on how much there is. For 12 Hours of output my Quad-Core i5 took about 1 Hour to process. This is the only step where you can choose the final quality of the video. Using these settings the output should be almost lossless, but the file will be quite big, definitely not suitable for on the WEB. By raising the “-crf 18” variable to a higher value, quality will decrease but also filesize will decrease. I tried to do this using FFMPEG but was unable to get it working correctly. 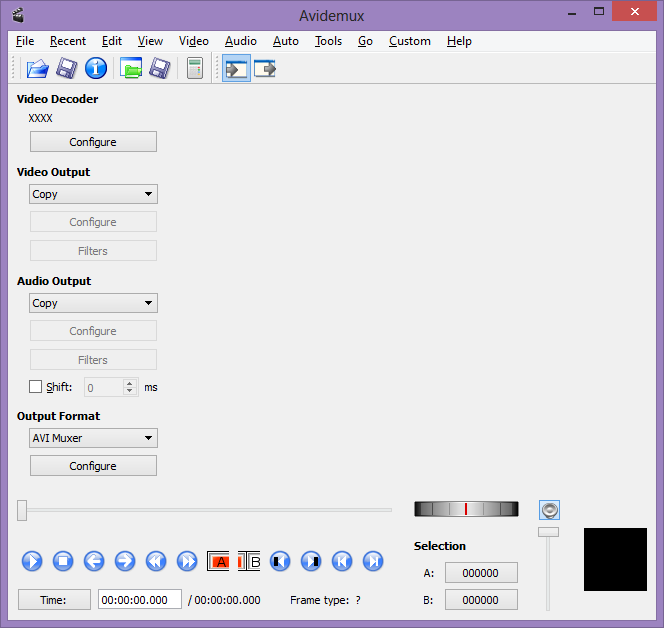 I then looked for another tool to use and ended up with AviDemux. 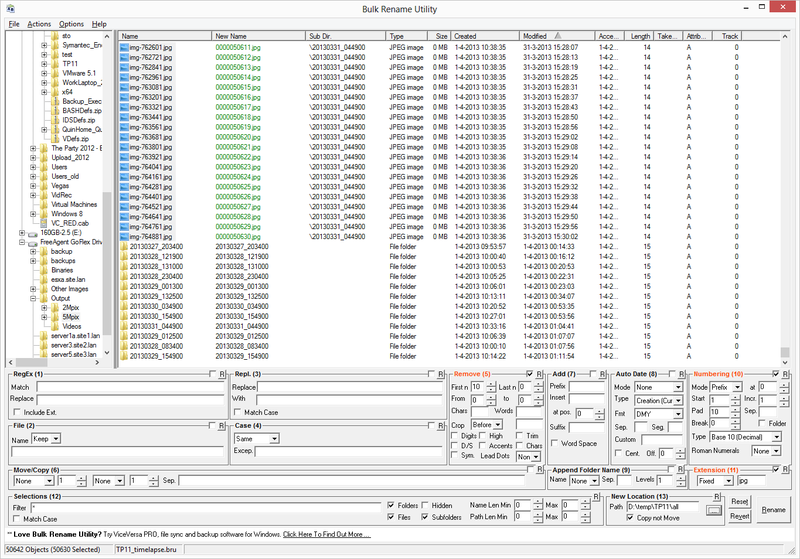 This tool did the job clean and simple without transcoding or anything. This is much preferred over having to do compression over compression. Since there is no trans-coding it should be done pretty fast! And that should be it, you now have a timelapsed video! I found your post very helpful. I would like to use this batch to run a long term still capture from numerous IP cameras I have at 5 minute intervals on an ongoing process. 2. how to save the filename as datestamp? Similar to what you did for the folder name. I simply noticed your last reply to my comment; I even have sent a reply with attachment; however not 100% sure it'll get through. I don’t see any choice to attach files here within the comments. I am also wondering about setting the interval. I have tried different numbers in the script and nothing changed.